Because wine from a bottle is so 2010. Lula Cafe When the Logan Square stalwart expanded with a beautiful bar last year, one thing the expansion included was two taps for wine. 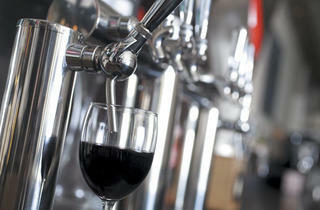 The selection for the taps rotates but has included gems like a sprightly Riesling from New York. 2537 N Kedzie Blvd (773-489-9554). Breakfast, brunch, lunch, dinner (closed Tue). Average main course: $16. 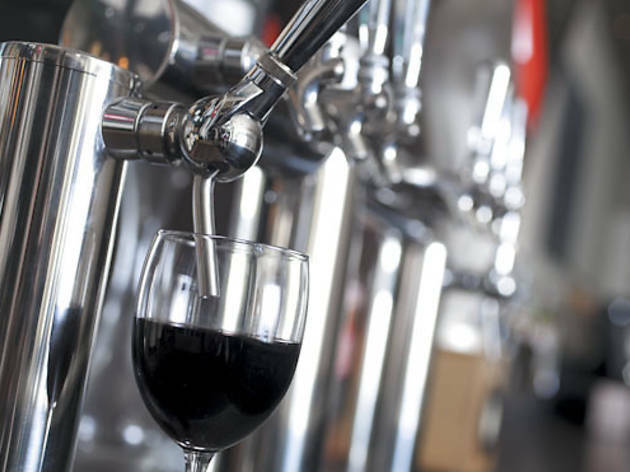 Tavernita Sample your way through 19 tap wines via convenient half-glass pours, starting with Spain’s indigenous varietals like the tropical white malvar or the dark and dynamic tempranillo. 151 W Erie St (312-274-1111). Lunch (Mon–Fri), dinner. Average main course: $15. Urban Union At his stellar Little Italy seafood spot, chef-owner Michael Shrader ditches wicker-wrapped chianti jugs for a half-dozen taps of California wine, including Italian varietal blends in both red and white for $10 (for an 8-ounce pour). 1421 W Taylor St (312-929-4302). Brunch (Sat, Sun), dinner. Average small plate: $11. Vera Sticking with its theme of all things small and Spanish, chef Mark Mendez’s breakout hit offers tap options including a well-curated trio of tart vinho verde, off-dry Riesling and spicy garnacha. 1023 W Lake St (312-243-9770). Dinner (closed Mon). Average small plate: $12.